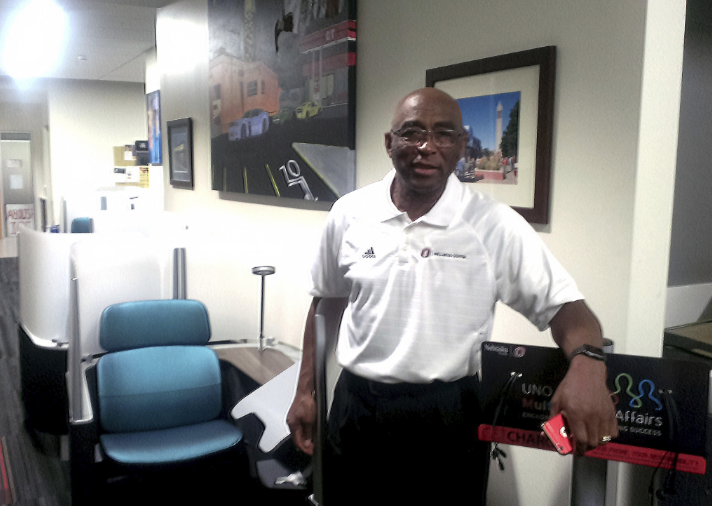 James Freeman has worked for the Office of Multicultural Affairs for more than 15 years. Photo by Greg Staskiewicz. Tucked away in the Milo Bail Student Center at the University of Nebraska at Omaha (UNO) is a place that offers friendship, understanding, help with college life and free food: The Office of Multicultural Affairs. It’s a place where students can feel safe, comfortable and above all else, wanted said James Freeman, Director of Multicultural Affairs. “I think we can provide that role because you have so many students that are marginalized, and they feel there’s no place that they can go to that’s going to make them feel that way,” Freeman said. It is important to ask the students what they’re thinking, and to help them be a part of the decision-making process at UNO, Freeman said. Freeman said that when he first came to work for Multicultural Affairs more than 15 years ago, there was a sense among the students that only people of color were welcome there. In addition to offering students a supportive and comfortable environment, Multicultural Affairs also hosts the Writing Center twice a week to help students. Library staff also come twice a week to help students learn how to conduct research. Multicultural Affairs also has a computer lab and printers, Freeman said. The staff advises students on how to succeed in college life, offering tutoring, free food, private study carrels and comfortable chairs. On Tuesdays and Thursdays, the office stays open late, from 8 a.m. to 8 p.m. Their normal closing time is 5 p.m.
Freeman worked as an educator at Omaha Public Schools for 38 years, at different times a teacher, principal and administrator. Though Freeman has been in Omaha since the 1960s, he said he never planned to stay for so long. He was a student at Tuskegee University in Alabama when the instructor of his philosophy class encouraged him to apply for the first National Teacher Corps, established in 1966 to recruit teachers to work in inner cities all over the United States. Freeman said he initially did not want to come to Omaha – the only thing he had ever heard about Nebraska was the football team. In the end, he and his friend decided to go to Omaha, Freeman said. There, they and the other members of the National Teacher Corps worked in the schools during the day, and attended classes and worked in their community in the evenings. Multicultural Affairs hosts Black Excellence, UNO’s black student union. Black Excellence, which was started in 2016, seeks to grow and strengthen the community of black students at UNO. Most American universities have black student unions, Freeman said. Another service hosted in Multicultural Affairs is the Summer Scholars program. Associate Director Elizabeth Blanco Rodriguez said the program is intended to expose high school seniors to college life. The Summer Scholars stay for five days at Scott Residence Hall and take a three-credit college course during the second summer session. 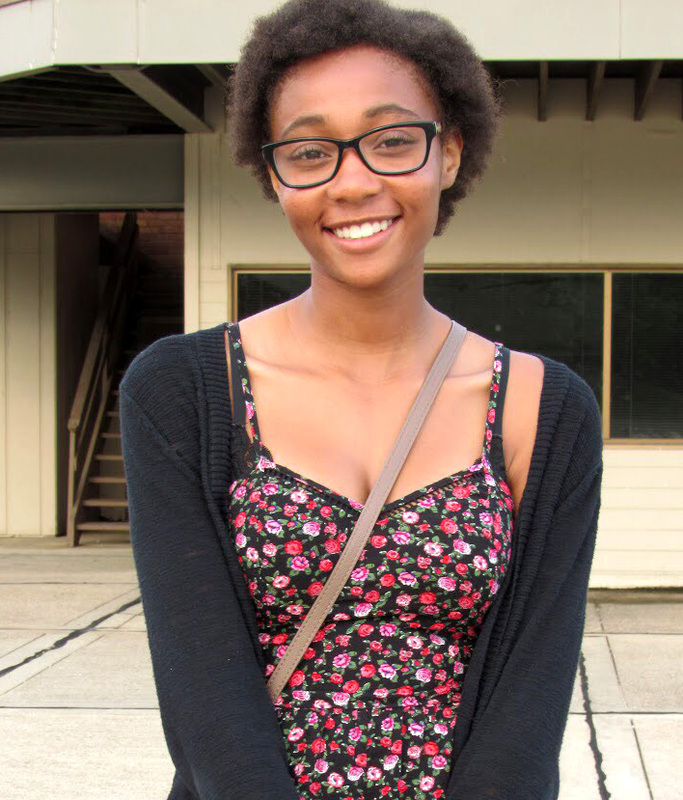 Alexandria Mitchell, a sophomore majoring in biotechnology, is involved in Multicultural Affairs. As an office assistant, she helps students with printing and essay writing, and helps staff on special projects. She is also involved in Black Excellence. Multicultural Affairs organizes programming for various events such as Black History Month in February, National Hispanic Heritage Month from Sept. 15 to Oct. 15 and Native American Heritage Month in November, Freeman said. The office will host a Native American film festival from Nov. 2 to Nov. 3., and a powwow on April 6.